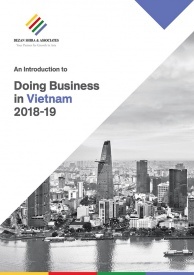 Vietnam climbed 14 places to 68th amongst 190 economies in the latest World Bank’s Ease of Doing Business 2018 rankings. It ranked fifth amongst ASEAN countries, with Singapore, Malaysia, Thailand, and Brunei leading the group. As per the report, significant improvements were made in the area of paying taxes, trading, enforcing contracts, access to credit, and electricity reliability. The ranking measure the effectiveness and quality of regulations based on starting a business, resolving insolvency, enforcing contracts and paying taxes, as well as trading across borders, protecting minority investors, getting credit and registering property, along with getting electricity, dealing with construction permits and labor market regulation. The report covers the period from June 2 last year to June 1 this year. In terms of the number of reforms implemented, Vietnam along with Indonesia leads amongst the global economies in implementing 39 reforms, the most in the last 15 years. 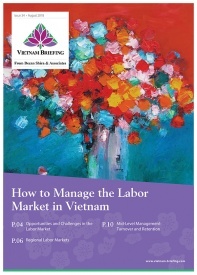 Within the ASEAN region, Vietnam ranked fifth, after Singapore, Malaysia, Thailand, and Brunei. Cambodia, Lao PDR, and Myanmar ranked the lowest at 135th, 141st, and 171st respectively. The reliability of power supply has increased due to the implementation of a Supervisory Control and Data Acquisition (SCADA) automatic energy management system that monitors power outages and restoration. The SCADA systems were set up between the subsidiaries of Electricity of Vietnam (EVN) and ABB and Siemens in the last two years. Improving the power network and reliability are key to the 10-year roadmap for smart grid development as laid out by the government in 2012. Vietnam ranked seventh in getting electricity amongst ASEAN countries, ahead of only Cambodia, Lao PDR, and Myanmar. Malaysia, Singapore, and Thailand led the rankings. 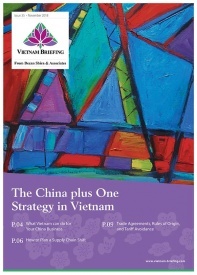 In comparison to previous year, Vietnam’s ranking jumped from 96th to 64th, up 32 places, amongst all global economies. Access to credit was strengthened by the adoption of a new civil code that broadens the scope of assets used as collateral. The new civil code came into effect on 1 January 2017. Among the ASEAN nations, Vietnam tied with Singapore at the fourth place. Brunei, Malaysia, and Cambodia led the rankings. Since last year, Vietnam jumped three places in the global rankings to 29th. Paying taxes were made easier with the abolishment of the mandatory 12-month carry forward period for Value Added Tax (VAT) credit. In addition, the introduction of an online platform for filing social security contribution boosted the rankings. This year was the fourth year in a row that recognized the progress in tax reforms. 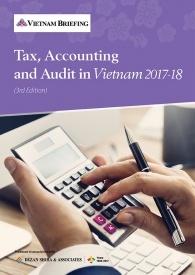 Components of the indicators include the number of tax payments, time, total tax rate, and post-filing index (VAT refunds and corporate income tax audits). Vietnam ranked fourth amongst its ASEAN peers, with Singapore, Thailand, and Malaysia leading the ranks. Paying taxes witnessed the highest growth amongst all indicators. Out of the 190 economies, Vietnam ranked 86th globally, a significant jump of 81 places from its previous year’s ranking at 167th. Import and Export procedures were made easier with the upgrading of the automated cargo clearance system and increasing the operating hours of the customs department. This has led to shorter customs clearance times and more transparency in customs procedures. This indicator also jumped last year with the implementation of an electronic customs clearance system. 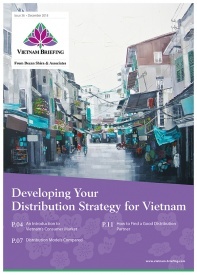 In trading across borders, Vietnam follows Singapore, Thailand, and Malaysia at fourth place. Vietnam slipped one place in its global ranking to 94th. Enforcing contracts were made easier with the adoption of a new code of civil procedure and a new law on voluntary mediation. The commercial mediation law, which came into effect on 15 April 2017, has simplified the mediation process without the need for complicated legal procedures. Singapore, Thailand, Malaysia, and Brunei lead the ASEAN rankings, with Vietnam in the fifth place. In comparison to the previous year, Vietnam’s global rankings increased from 69th to 66th. In dealing with construction permits, Vietnam’s rank jumped four places to 20th, with the only change being in cost, which is calculated as a percent of warehouse value. Registering a property rank dropped from 59 to 63. The rankings jumped from 87th to 81st this year, with minor changes in the sub-indicators. The country ranked the lowest in resolving an insolvency and starting a business at 129th and 123rd respectively. Both indicators dropped since last year from 125th and 121st respectively. However, both witnessed a climb in scores. For starting a business, the cost of official fees and fees for legal or professional services has increased from 4.6 percent to 6.5 percent of income per capita. However, the number of days to register a firm has reduced from 24 to 22. With respect to resolving an insolvency, only one sub-indicator has changed in comparison to previous year. The recovery rate has changed from 21.6 to 21.8 cents on the dollar. The recovery rate calculates how many cents on the dollar secured creditors recover from an insolvent firm at the end of insolvency proceedings. 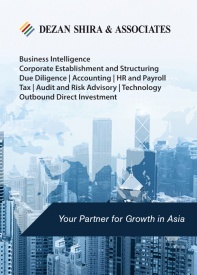 According to the World Bank’s report, in 2003, an average businessperson in Saigon spent 61 days and 31.9 percent of their per capita income registering a new company. Now, it’s just 22 days and 6.5 percent of per capita income. This has been the result of numerous reforms aimed at streamlining business regulations. Vietnam along with Indonesia leads amongst the global economies with 39 business reforms, the highest in the last 15 years. Going forward, the focus should be on improving the public infrastructure, increasing support for the development of the domestic private sector, and reducing the regulatory and administrative burden on enterprises.